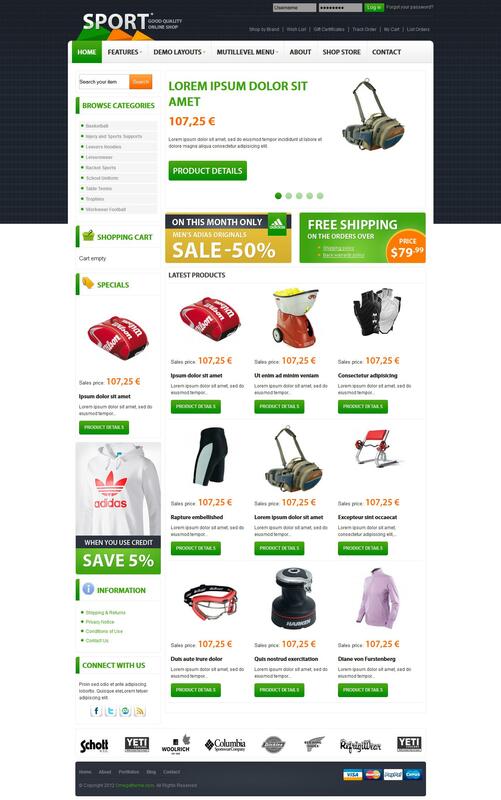 OT SportShop - the ideal solution for creating rich Internet shops developers templates OmegaTheme. The main advantages of this template is full support for popular online component VirtueMart sales manager and a powerful content management site K2. Template designed in a contemporary design, contains more than 15 module positions and 3 preset styles that can be easily changed via the template parameters. There is support for versions of VirtueMart v2.0 and above. Ideal for creating online stores selling sports apparel and accessories.